Cleaning a home seems like a simple concept, but some people live their whole lives and never really know how to do it properly. It takes dedication, time, and a whole lot of elbow grease to truly clean a space correctly. Unfortunately, most hard-working homeowners barely have enough time as it is. Trusting a reliable cleaning company mitigates this responsibility, giving you more time to do the things that matter to you the most. 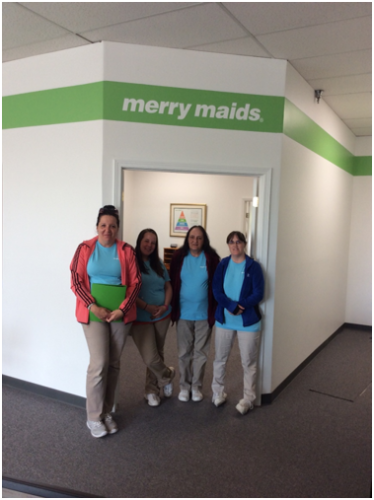 Merry Maids has been the trusted source for house cleaning in Covington, Kentucky, since 1990. Our reputation and longevity in the local market speaks for itself, making us the premier maid agency in Northern Kentucky. Our friendly staff goes above and beyond to keep your home in immaculate condition. Count on us for quality work, attention to detail, and a house you’ll love coming home to. Our company started off as a small-town cleaning business in 1947. In 1988, we joined the ServiceMaster family -- a large company committed to improving home maintenance and service. This has allowed us to enhance our training nationwide, making sure we are utilizing the best cleaning products and methods available. Our specific franchise has operated in the local community for 27 years, providing quality service to local homeowners. Your satisfaction is always our number-one priority. We offer clients the kind of assurance that only a nationally recognized franchise can. If you’re not happy with how we did a job for any reason, we’ll come back and finish it to your liking for free -- no questions asked. Every solution is tailored to the specific needs of our clients. We’re happy to listen to your goals, needs, and restrictions, and develop a package just for you. Contact us and schedule an appointment or maid services. We proudly serve Covington and the Northern Kentucky area.